HP has unveiled its new laptop called the Spectre 13, which it claims to be the world’s thinnest laptop. The laptop is only 10.4mm thick and weighs 2.45 pounds (approx. 1.1 kilograms) and comes with an aluminium and carbon fiber body. The Spectre 13 has a 13.3-inch Full HD display and a piston hinge design that draws inspiration from high-end furniture designs. In addition, the keyboard has backlit keys as well as a glass trackpad and three USB Type-C ports. The laptop offers up to 8GB of RAM and 512GB of SSD storage and will be available with either an Intel Core i5 or Core i7 processors. In order to keep the laptop cool, the HP uses Intel’s hyperbaric cooling technology that draws cool air in instead of just venting out hot air. 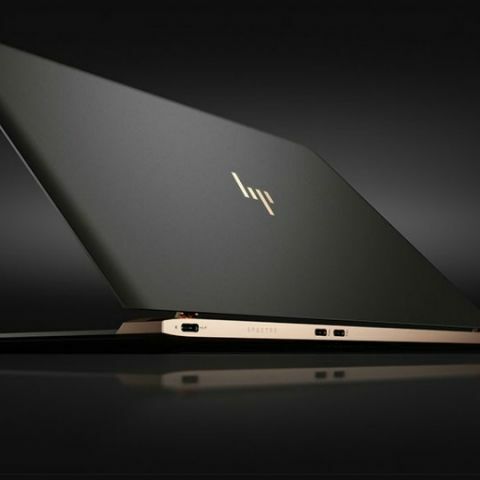 The HP Spectre 13 also comes with Bang & Olufsen audio technology. Prices for the device start at $1,169.99, which is roughly Rs. 78,000.